Founded in 1859 by inventor, industrialist and philanthropist Peter Cooper, The Cooper Union for the Advancement of Science and Art offers an unparalleled education in architecture, art and engineering. Established to provide education with an exceptional standard of quality “equal to the best,” The Cooper Union was also founded on the fundamental belief that education should be accessible to all members of society without regard to gender, race, religion or economic status. Today, The Cooper Union is ranked among the most prestigious private institutions in the world with a public mission: To prepare bright, creative and ambitious students to apply their talent and expertise to make impactful contributions worldwide. 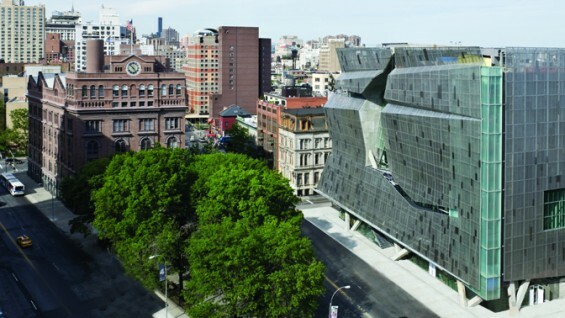 The rigor of The Cooper Union’s academic programs has made it one of the top-ranked institutions of higher education in the nation in all categories. Ranked #5 in a national list of "Colleges That Pay You Back" released by The Princeton Review in 2018; The Princeton Review also included The Cooper Union as being in the top ten schools nationwide that offer "Great Financial Aid." Beginning with the 2014-2015 academic school year, incoming Cooper Union undergraduates receive a half-tuition scholarship currently valued at $22,275 per school year. After applying for need-based financial aid, students may be provided additional aid to help cover tuition, room and board, and other related expenses. Merit scholarships may be provided to exceptional students. 853 undergraduate students: 55 percent in engineering; 32 percent in art; 13 percent in architecture. The Cooper Union’s Foundation Building, completed in 1858, was bestowed as a gift to New York City and became testament to Peter Cooper’s philanthropy and ingenuity. The Foundation Building was once the tallest building in Manhattan and the most innovative addition to the city’s landscape. Designed with a rolled iron I-beam infrastructure, it also included an interior shaft that preceded the common use of elevators. The Foundation Building is also a prominent cultural and intellectual destination for its auditorium, The Great Hall. This space has hosted speeches and events for several United States presidents and esteemed public figures that have had a profound impact throughout American history. Today, it is a National Historic Landmark and designated New York City Landmark, and it provides space for classrooms, studios, the main library and the Arthur A. Houghton, Jr. Gallery. The interior was renovated in the 1970s by John Hedjuk, former Dean of Cooper Union's Irwin S. Chanin School of Architecture, and in 2002 an exterior restoration and rededication was completed. Peter Cooper believed that public engagement was essential to a thriving democracy and designed a space within the Foundation Building as a forum to do so: the Great Hall. This was created to bring America’s most influential pioneers of the 19th century to the citizens of New York City. One of the most famous guests was Abraham Lincoln in February 1860 where he delivered his “Right Makes Might” speech. The Great Hall also hosted abolitionist Frederick Douglass, women’s suﬀrage champions Susan B. Anthony and Victoria Woodhull, Samuel Gompers, and the earliest workers’ rights campaign movements. It was also the birthplace of the American Red Cross and the NAACP. For 150 years, the Great Hall has remained a prominent venue hosting United States presidents including Ulysses S. Grant, William Howard Taft, Grover Cleveland, Theodore Roosevelt, Woodrow Wilson, Bill Clinton and Barack Obama. Other presenters have included authors such as Harriet Beecher Stowe and Salmon Rushdie, intellectuals including Bertrand Russell and Susan Sontag, scientists such as Thomas Huxley and Brian Greene, and even popular musicians including Benny Carter and Billy Joel. 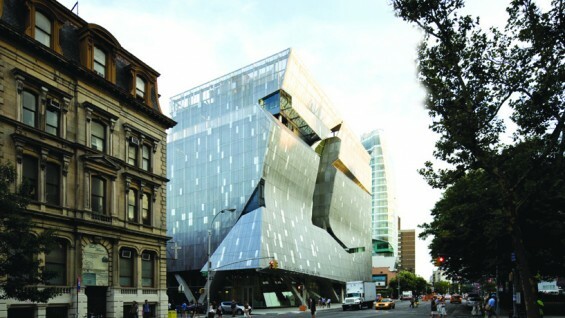 The Cooper Union’s most recent campus addition, a Leadership in Energy and Environmental Design (LEED) certified New Academic Building (NAB), is 41 Cooper Square, the school’s premiere academic facility. Designed by 2005 Pritzker Prize-winning architect Thom Mayne of Morphosis, the building officially opened in September 2009. The 9-story, 175,000 square foot, full-block building replaced more than 40 percent of the academic space at the college with reconfigurable state-of-the-art classrooms, laboratories, studios and public spaces. The building is also one of the most advanced for its exceptional use of green technologies. 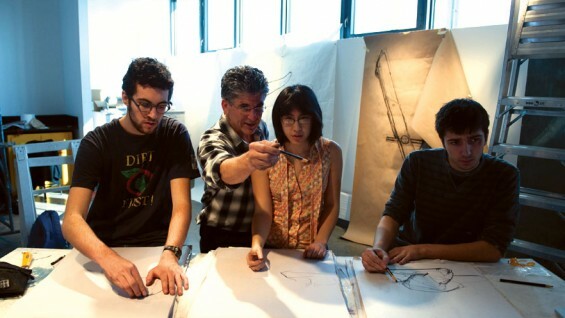 The Irwin S. Chanin School of Architecture offers a Bachelor of Architecture degree which is completed over five years and prepares students for an array of opportunities in the profession. The School also offers a post-professional Master of Architecture II degree. Through close interaction with internationally recognized faculty, practitioners and scholars, graduates obtain a lasting ability to produce architecture that is a meaningful synthesis of the social, the aesthetic and the technological. The School of Art offers a Bachelor of Fine Arts degree completed in four years. The program is committed to an integrated curriculum that encompasses the fundamental disciplines and resources of the visual arts including painting, sculpture, drawing, ﬁlm and video, graphic design, photography and printmaking. The students in the program beneﬁt from working alongside renowned faculty and utilizing New York City’s extraordinary pool of practicing professionals in fine art and graphic design. The Albert Nerken School of Engineering offers Bachelor of Engineering and Master of Engineering degrees in chemical, civil, electrical and mechanical engineering. The program prepares students for leadership and entrepreneurial roles in a world that faces complex political, social and environmental challenges. At the graduate level, the School encourages interdisciplinary studies in additional areas including computer systems, robotics, biomedical and environmental engineering issues, as well as material science. The Faculty of Humanities and Social Sciences provides the academic integration connecting our three schools. During their first two years, students are required to take a core curriculum in the humanities and social sciences. Students in the School of Art take an additional three-semester sequence in art history. During the third and fourth years, students have considerable latitude to explore the humanities and social sciences through elective courses. The Faculty of Humanities and Social Sciences also oversees the Center for Writing which works with our students to offer feedback, support and instruction in all areas of written and spoken communication. The C.V. Starr Research Foundation at The Cooper Union is the umbrella under which several interdisciplinary research centers operate. At the Research Foundation students work with faculty to seek technological solutions to real-life problems.